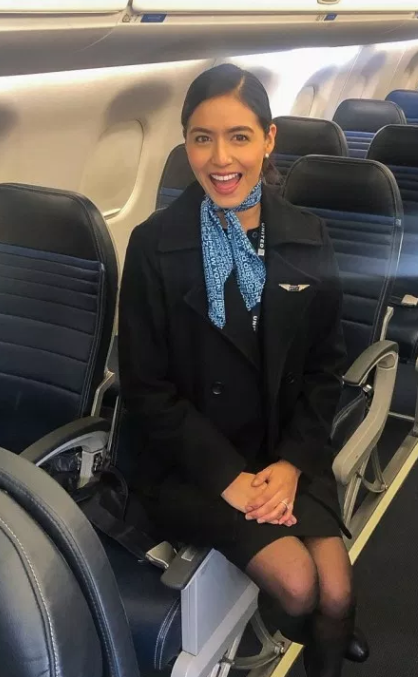 Selene Saavedra Roman, 28, a resident of College Station, Texas, had been a crew member for Phoenix-based Mesa Airlines for a few weeks when she was scheduled for a February 12 flight to Mexico out of Houston’s George Bush Intercontinental Airport (IAH). Mesa flies certain routes for united Airlines. She had come to the US from Peru at age 3 and had been granted legal status under the Deferred Action for Childhood Arrivals (DACA) program. DACA is an immigration option for undocumented immigrants who came to the United States before the age of 16. Although DACA does not provide a pathway to lawful permanent residence, it does provide temporary protection from deportation, work authorization, and the ability to apply for a social security number. Ms. Roman’s DACA status is good until November 2019, according to a Department of Homeland Security notice. And though the legal battle continues over whether the Trump administration can revoke the policy or not, a federal judge ruled in August 2018 that the policy could continue for now. The company relied on that ruling to advise Ms. Roman that she could leave and re-enter without a problem. She had been concerned and had asked not to be placed on international flights but was assured she would be fine. Instead, She was held at the Houston airport for 24 hours, then Immigration and Customs Enforcement (ICE) transferred her to a privately run immigration detention facility in Conroe, Texas. These for-profit detention centers have blossomed across our Southern border due to the current administration’s restrictive border policies. She remains locked up until her hearing on April 4, 2019. Her lawyers are unsure of what will happen at the hearing according to reports due the limbo status of DACA recipients. Her lawyers may also have a valid claim to pursue against her employers if they can document that she was told it would not be an issue after asking not to be sent outside the US. Either way, this is not the type of person who we should be detaining as a nation. Nor should we send back to Peru a person who has been living here for 25 out of her 28 years of life. Hopefully the judge will set some form of release on April 4 so she can at least get back to her husband and life in Texas.